" " wisno wood furniture finishing: Touch up kits for wood furniture finishing. 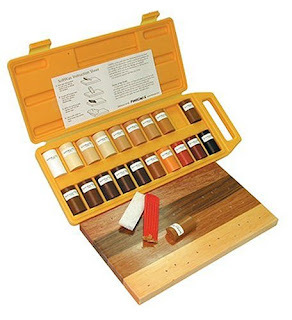 Touch up kits for wood furniture finishing. Touch up is the correction to revise or repair minor problem. It is usually carried in the furniture factory at the end of the production process to handle the small imperfectness in the product. The finishing touch up can be done at the end of finishing process. Touch up is also needed at the packing to correct some finishing damaged in furniture products before it is packed. Touch up sometime is done in a furniture store or show room. The furniture product can be defect or damaged since the improper handling and if the problem is not too bad, then we may fix them with touch up process. Touch ups, of course only be able to fix the small defects; the furniture with bad damage has to to fixed at the furniture manufacturer or the woodworking shop. Now, there are many touch up finishing kits has been provided by the finishing material industry to help the finishing industry. But we need the skillful people to do the touch process. The touch up is such as painting job that needs accuracy and patience. But however with the touch up kits available finishing touch up kit, there many small defect can be fixed. With the proper material and technique then many minor problem can be fixed, without have to be sent back to the finishing process which is costly, laborious and time consuming. Some of the touch up kits in the wood furniture finishing. It is a touch up kit that very easy to be used, but help lot to fix the color problem at the small part. It is marker that is specially designed to color the light color or the uncolored part. Touch up marker can be easily used to address at the corners or edges that was rubbed off or peeled off due to the sanded trough or rubbed trough during the finishing process. The marker also works to fix the light color since of the friction and impact during handling. The marker can also be used in the finishing process, to coloring the light part of the finishing because of uneven stain absorption, such as putty mark or glue mark. 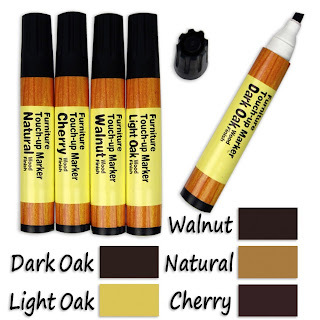 Touch up markers is available in various colors according to many finishing color. How to apply the touch-up marker. Choose the marker with the best suits according to the color finishing in repair. Then paint the marker on the light part until it blend and well mix with the finishing color. Make sure that we portray a good and neat paint. Markers that are too thick and smudged will leave an ugly appearance. Wipe the mark with cloth or hand to smooth when he is still wet to reduce the thickness of the marker if needed. When the marker is dry, the marker can still be thinned by rubbed off with steel wool. We may need to do some trick to make the touch is well camouflaged with the finishing overall looked. It is a kind of putty that can be applied on sealer, coating or top coat layer. Fill in stick is a kind of wax putty that is easy to be cut, shaped and inserted to fill the hole, crack or gap. 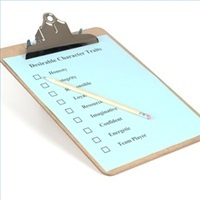 The fill in stick is available in various colors and can be selected according to the finishing colors. Select a stick with proper color, make sure it is well blended with the finishing color. Insert the stick to fill in the gaps, cracks or holes. We can use a small knife to insert the stick and cutting at the top of the stick is to flatten the surface at the finishing layer. Some scuff sanding can be done to resurfacing the stick. Fill in is applied on the sealer and top coat layer and is usually followed by another layer of coating application; sealer, top coat or paint. The fill in stick without another coating layer may be obvious since the uneven gloss with the overall finishing surface. It can be used to fix the inside and unexposed part. It is the material used to fill holes and cracks as well as fill in stick. It will blend better with the finish surface, but it requires heat to be melted and applied. Burnt in stick is available in various colors and equipped with a device for heating and melting the stick. The tool used is a small metal blade fitted with electric heating (such as solder in electronic shop). The solder is heated to melt the stick and insert it the gaps, holes or cracks. This stick requires relatively more difficult process but when he properly applied he would produce better match finishing looked. How to apply the burnt in stick. Choose the appropriate color, heat the soldering tool. Place the stick at the hole, gap or crack than use the heat solder tip to melt the stick and to fill holes. Flatten the fill stick surface with the tool at this burnt stick still in the liquid state. And let the burnt stick is cool and harden. When it is cold and harden, we still can flatten the surface by sand the uneven surface. The flat and even gloss can be created by rubbing the whole finish surface or recoat with another layer of top coat. This product looks promising. Repairing a minor damage may seem very tedious, but with this kind of product, I'm pretty sure that it will be much easier. I would love to try this on my contemporary furniture which happens to have a minor damage. This product seems promising indeed. I would love to get one of these to be used in the future in case some of my wicker outdoor furniture would get chips and damages. They do. I used it to repair some minor problems. Although they cannot be used to fix all problems, but they already help a lot. Thanks for your time to visit us. I am planning to buy this kit for my newly purchased furniture. I bought a set of furniture from one of the furniture stores in Orange County CA, and I think it would be a good idea to keep this product in case of furniture problems. A $22.68 kit is not bad for making the furniture look brand new after months or years of usage.